It's the tenth day of Christmas meaning there's only fifteen days left until Christmas, ahhh! How exciting! There hasn't really been anything that I've wanted for Christmas this year however I have found a couple of things which I would love to have! 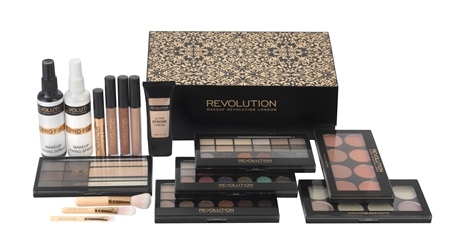 I know I have received the Makeup Revolution 12 days of Christmas storage box from my mum as I was there when she bought it! Cheeky! I'm definitely one for buying presents for other people than asking for something from someone else. I never know what I want and being indecisive makes it so much more difficult at this time of the year. Spectrum Collections Marbelous 12 piece set! 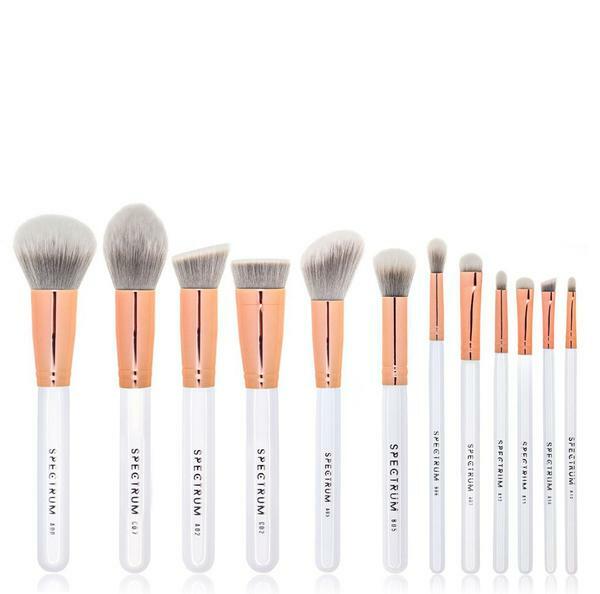 "The 12 piece of Marbleous set finished in a stunning rose gold, grey and white colour way consists of 5 luxe face brushes and a collection of 7 of our best selling eye, brow and lip brushes". I have had my eyes on this set of brushes for absolutely ages, since they came out! I think they are stunning! Not only are they white, but they have the rose gold finish to them as well! Every bloggers dream. I've heard Spectrum Brushes are the best possible brand you can buy brushes from and one day I will get my hands on them! "Our Infinity Name Necklace provides the best way for you to show off what the word "forever" means to you. You can get up to two names or words on each loop of the infinity symbol. 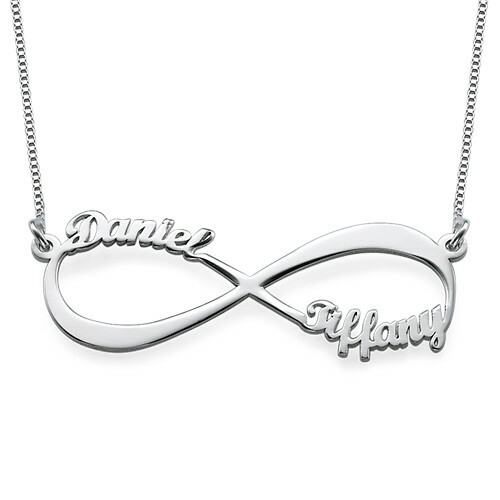 This is the perfect personalised infinity necklace to wear. Get your name and your significant other on this name necklace. You can also get the names of best friends, inspirational words, children, or anything else you can think of". I recently saw this necklace on my Instagram feed and completely fell in love with it! I absolutely love the idea of anything which involves and Infinity Sign and anything which is all "lovey dovey". Like "My Name Necklace" mentions, this is the perfect way to show off the word forever between you and your loved one! "Let us take the pressure off present buying (even for those tricky-to-buy-for friends!) with our gift collection, curated with Christmas and birthdays in mind. Spanning beauty sets, pamper time treats and weird and wonderful wrap ups, there’s something for everyone – even if you just want to spoil yourself! 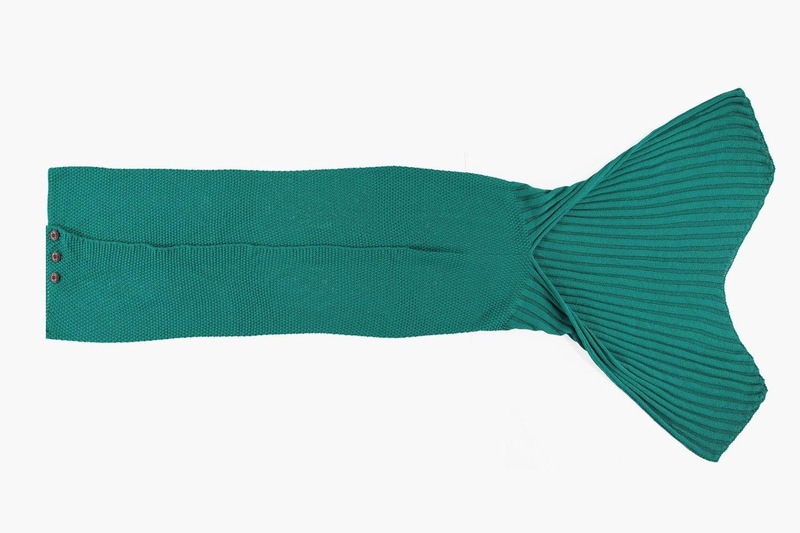 Go on, you deserve it"
Mermaid blankets are the "in thing" right now and who wouldn't want to be a mermaid just for one day? I think this is such a lovely gift for anyone to be honest and I can imagine they are very cosy to snuggle inside when it's cold and gloomy outside throughout Winter! I love the shade of this one too; possibly my favourite one out of them all! "Who wants a Partridge in a Pear Tree when you could have the ultimate Makeup Revolution's 12 days of Christmas?! Treat yourself or a loved one to the ultimate gift experience! Storage box contains: 1x Eye Primer, 1x Aqua Priming Base, 1x Strobe Cream, 1x Lipgloss Set, 1x Pro Go Mini Brush Set, 1x Pro Fixing Spray, 1x Blush Palette, 1x Strobe Palette, 1x Brow Palette & 3x Eyeshadow Palettes". 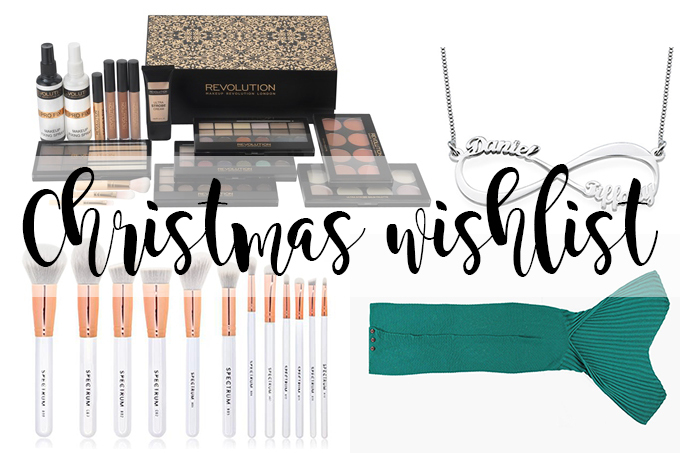 I love love love love love Makeup Revolution and have been so excited to see their new Christmas releases for 2016! How gorgeous is this Christmas Chest which they have created? I also recently picked up their storage chest which is so much bigger but this one is just as beautiful as my Mum has bought me this for Christmas, woop! If you want a bargain, definitely check this out!